Lady and the Blog → Personal Blog → Yes Our Christmas Decorations Are Still Up … And I Can Barely Stand It! Yes Our Christmas Decorations Are Still Up … And I Can Barely Stand It! My husband and I have two firm beliefs about Christmas. I always insist we put our Christmas decorations up the day after Thanksgiving and he always insists we don’t take them down until Three Kings Day. This means we have weeks and weeks and WEEKS of holiday cheer plastered in every room of our home. But once New Year’s Eve hits… I’m over it. So for about 10 days I cannot STAND the fact that my home is draped in red and green and white. 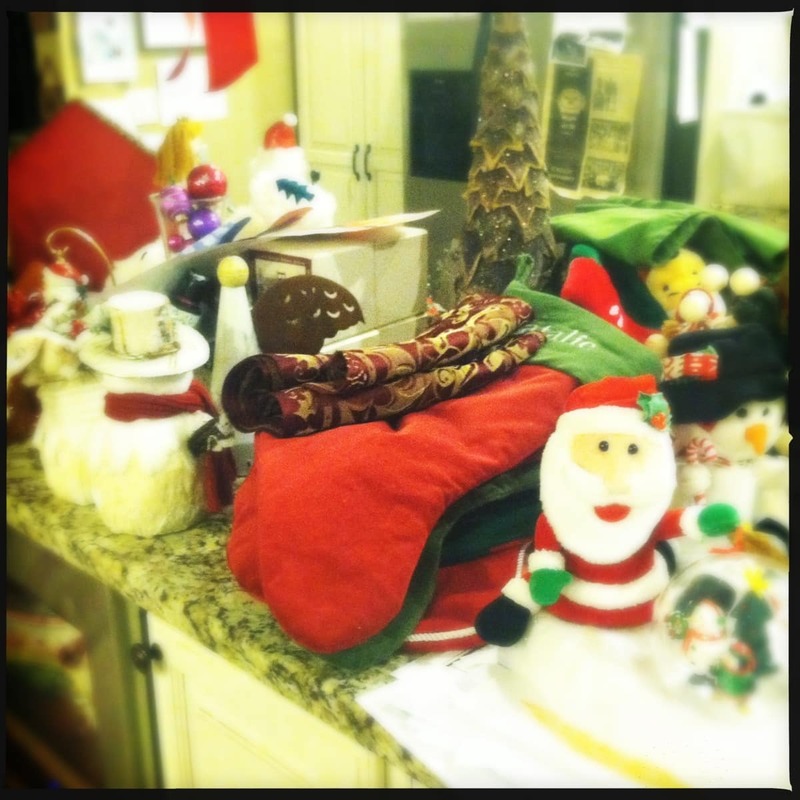 This year, THANKFULLY, Three Kings Day came and went… but the decorations are remaining. And I’m not sure why. Whenever, I get up to get myself a glass of water (if Bill isn’t home), I’ve gotten into the habit of taking something from the living room and placing it on the kitchen island. This is the results… three days later. And three days later… it’s still THERE. I haven’t even touched where the tree is because that’s nowhere near the kitchen and I shouldn’t be up as it is. I’ve just stripped the kitchen, living room and dining room — all connected. One drink at a time. Can you imagine????? Seeing it like this makes me feel we go a bit overboard during the holidays. I’m wondering if today will be the day that we actually put it all away. Fess up — do you still have your Christmas decorations up???? Previous Post: « Is Anyone Else Afraid Of The New Stomach-Pumping Machine? This doesn’t work for everyone, but this is what I do… I used to decorate the entire upstairs of my house. It took hours or even days. When I decided to return to college, I knew I didn’t have the time or desire to do that any more! We have a spare bedroom downstairs. I make it into the “Christmas Room.” Everything gets put up in one room together. The rest of the house is untouched. That way, I can drag out my (5) giant Rubbermaid totes from under the stairs, move them into the hall, drag out all of my decorations (or those I choose) and put the room together in a couple of hours. This year, it took me less than an hour to put it all away.